Black Friday, Small Business Saturday, Cyber Monday… these are all shopping days meant to help us cross off large chunks of our Christmas lists. #GivingTuesday is the first Tuesday after Thanksgiving and kicks off the charitable season, when many focus on their holiday and end-of-year giving. 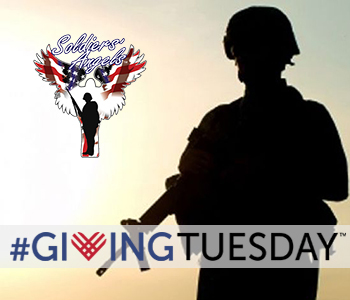 This year on #GivingTuesday, consider giving back to those who gave for our freedom. Click here to learn more or visit our Giving Tuesday fundraising page here.